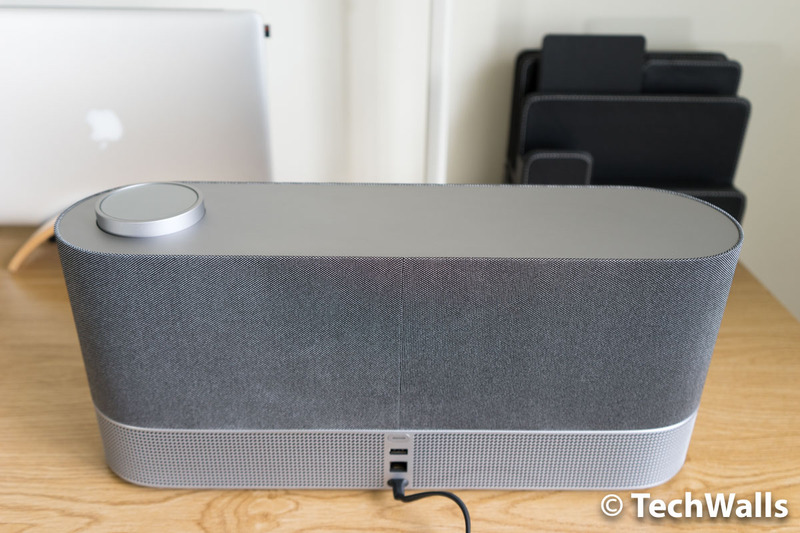 VIZIO SP70-D5 SmartCast Crave Pro Speaker Review - A Perfect Alternative to Sonos? 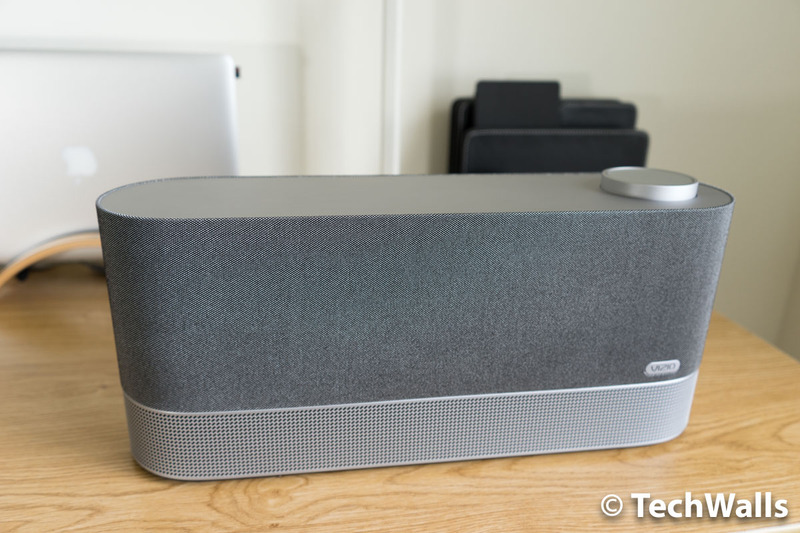 VIZIO SP70-D5 SmartCast Crave Pro Speaker Review – A Perfect Alternative to Sonos? Vizio is not my favorite audio brand in the U.S. but I really appreciate that they keep introducing the newest features to their product lineup. The VIZIO SP70-D5 SmartCast Crave Pro is one of a few speakers on the market offering the Chromecast built-in feature and it’s considered the perfect alternative to Sonos speakers. Let’s see how the speaker performs. The product packaging is pretty simple as there are just the speaker and user guide inside. However, it took me a little more efforts to do the unboxing since the speaker is fairly heavy. It weighs approximately 14 lbs and the size is pretty big. This is clearly not a portable speaker and intended to stay in one place, it is also required to be plugged in as there is no integrated battery. I used a Vizio product before, which was a soundbar, and it looked pretty dull and cheap. The Vizio Crave Pro totally changes my impression of the brand with its beautiful industrial design and premium build quality. 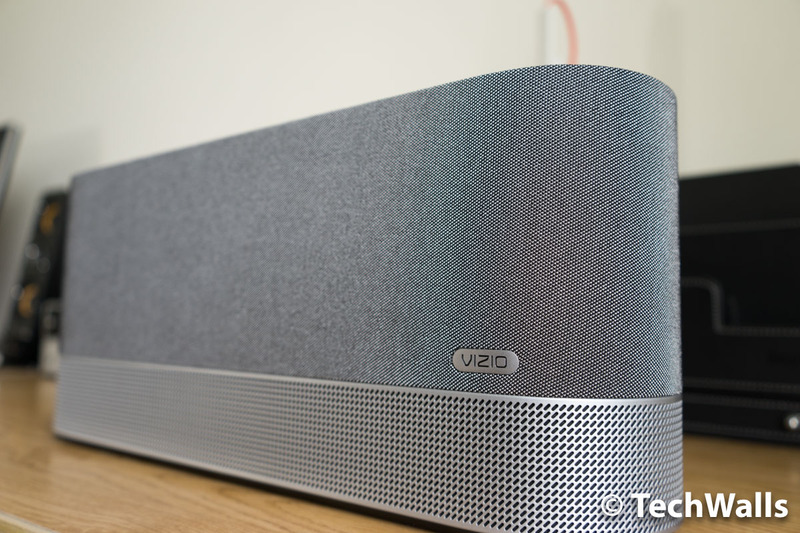 Obviously, Vizio has stepped it up and the speaker looks more like an upscale product now. I love every touch of the speaker, including the satin aluminum finish on the bottom grille, the fabric-wrapped mesh, and the beautifully-crafted dial on top. You can rotate the dial to adjust volume, tap on in to play/pause, or swipe left/right to skip tracks. I’m really impressed with the minimal design of the Vizio speaker. 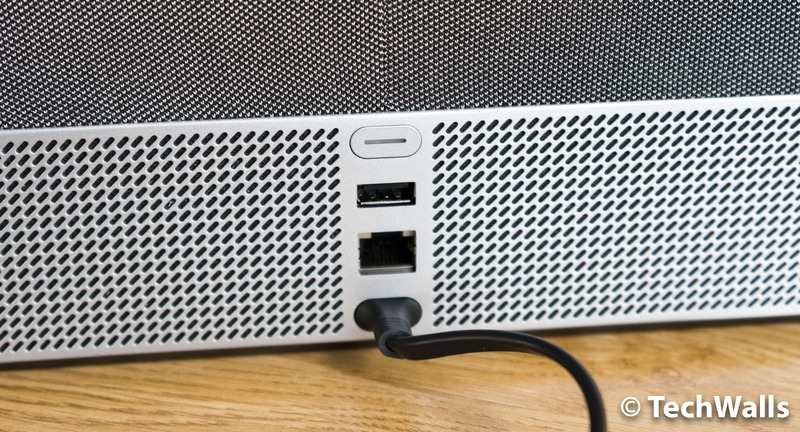 There are no unnecessary ports and buttons like other products, you can only find the power button, a USB port and an Ethernet port on the back. The only concern is that the power cord is non-detachable, so you won’t be able to replace it by yourself in case it’s broken. Many people are considering between the Crave Pro and the Sonos speaker, I find the Crave Pro is even more feature-rich. You don’t need a home Wi-Fi network because it can also stream music via the Bluetooth 4.1 connection. 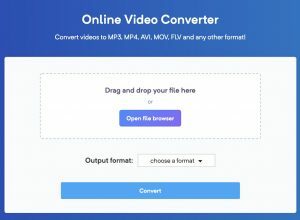 However, I’d recommend you to use the built-in Chromecast (Google Cast) feature because it delivers a more reliable connection, a better audio quality, and it doesn’t drain out battery of your smartphone. 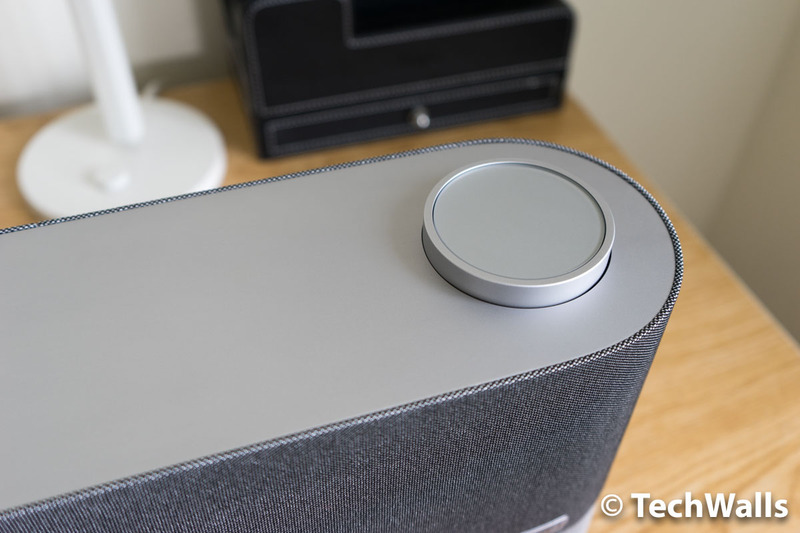 You even can turn off your smartphone and use the touch dial to control music. 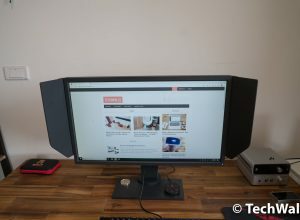 At the moment of writing this review, the companion Vizio SmartCast app has just been updated and it features a simplified homepage and navigation. 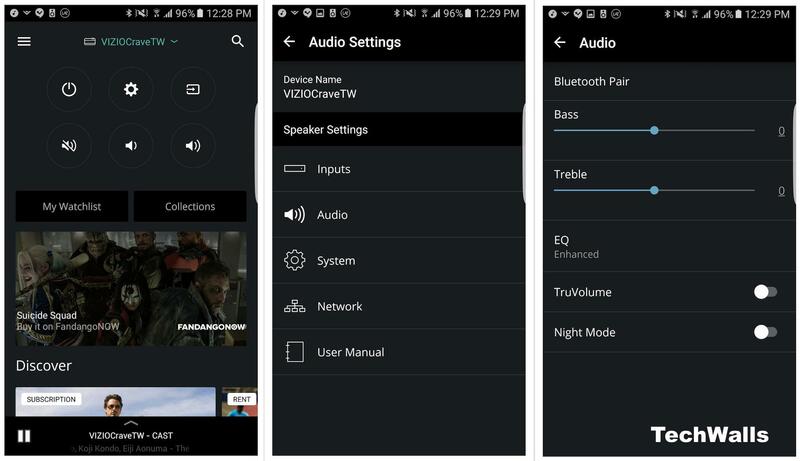 However, you can only cast audio via some supported apps only, including Spotify, Youtube Music, and Google Play Music. I tried to watch videos on Youtube or Hulu and cast audio to the Vizio speaker but it was unsuccessful. The only solution is to use Bluetooth but you won’t be able to pair multiple speakers with this connection. The best feature of the Chromecast built-in speaker is, of course, multi-room pairing. Unfortunately, I don’t have an extra Vizio speaker to test the feature. I’ve tested hundreds of wireless speakers but very few of them could impress me. The Vizio SmartCast Crave Pro is the biggest and also the best-sounding one. I often play music over Wi-Fi for the best quality. Although it comes in one piece, it is actually a 2.1 speaker system with dual subwoofers for a superior bass response. Check out the sound test in the video below, the sound can’t be accurately reproduced but you have an idea of the sound signature and its power. Make sure to lower the volume level before turning on the music because this is a very powerful speaker. It is boasted to deliver up to 102 dB of volume, which is at the same range as the expensive Devialet Phantom speakers. Surprisingly, Vizio managed to pack the same dense sound at a fraction of the cost. 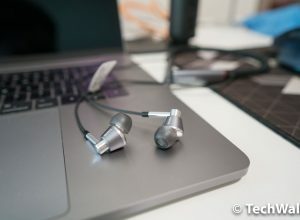 I had a chance to test the Devialet Phantom White and the Vizio Crave Pro actually has a very similar sound signature. The Crave Pro can easily fill my apartment with music, I often set the volume level lower than 50% because the speaker is just too powerful. The bass was a little muddy in my small living room, fortunately, you can adjust the bass and treble in the app. The bass is actually very deep and you will absolutely enjoy it when watching action movies, the rumbling sub-bass makes you feel like you are sitting in a theater. Notably, the soundstage of the speaker is exceptional. Before testing it, I know the soundstage would be great but honestly, I can’t imagine the stereo imaging could be that spacious. When I close my eyes and listen to music, I think I sit in front of a real 2.1 sound system. Vizio really did a great job in designing and arranging the drivers to expand the soundstage. Overall, the sound targets audience who prefers a warm and full sound. The amount of boosted bass and powerful volume can literally shake your room, especially when you play rock or EDM tracks. On the other hand, the speaker doesn’t cause fatigue when I listen to music in a long period of time, thanks to the clear mids and highs. The mids are still very present while the highs are not recessed significantly like other cheap speakers. The result is an outstanding and enjoyable sound for home use. The VIZIO Crave Pro is among the best wireless speakers I’ve ever used. It is just a perfect solution for your house since you can enjoy wonderful tunes without wires and complicated setups. You can easily expand the system by adding more Crave Pro or Crave 360 speakers, then you would be able to listen to music in every corner of your house. 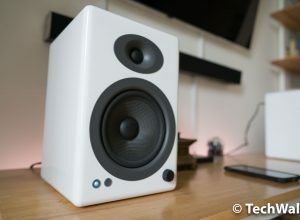 One of the best stationary wireless speakers.